You have your desktop, your laptop, your tablets and various other gadgets lying on your desk, but without any question, the device that you use the most is your phone. From making calls, texting, taking pictures and videos, setting alarms and reminders, checking your emails, organising your documents, keeping track of your health, doing some shopping and more, your phone multi-tasks to make your life that much simpler. So doesn’t it make good sense to ensure the safety of your phone from unforeseen damages? There’s just no two ways about the answer. Phone covers provides protection when you accidentally drop your phone to the ground. This is one often most common occurrences and it’s better to be prepared than suffer huge losses not just monetary wise but also in terms of precious data. It’s even worse when you don’t have an insurance for your phone. Get a sturdy and shock proof cover for best results. Another major concern with phones is scratches, both on the screen and on the phone body. Even a tiny scratch can spoil the entire look of your phone. But since most of us carry our phones inside our bags or in our pockets, getting a scratch is almost inevitable. Unless you shield your device with a reliable mobile case, of course. Now that we’ve made our case and put you in the hunt to find the best mobile case and covers online, try VoxPop’s collection of superhero phone covers. Not only will the high quality material of the cases be your best defensive shield, but they will transform the look of your phone. 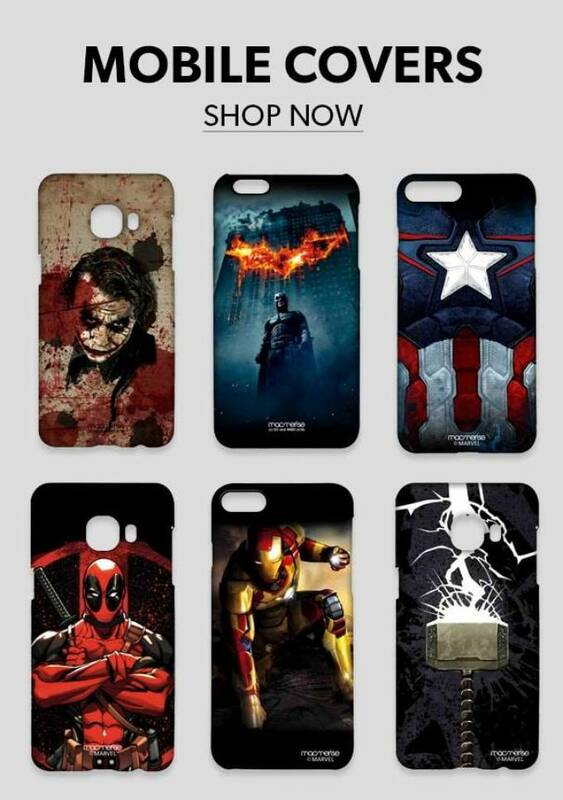 Superman, Batman, Ironman, Deadpool, Captain America, Wolverine and more awesome designs deck your phone cases. Find everything from iPad case and tablet covers to every phone brands including Samsung, Google, Oppo and more. Give your phone the best that it deserves.